Documentaries are a tough sell sometimes. The only ones that seem to garner attention, especially come Oscar season, are those that tackle controversial topics, leaving any movies that seek to document something that's fascinating but not particularly topical to the wayside. 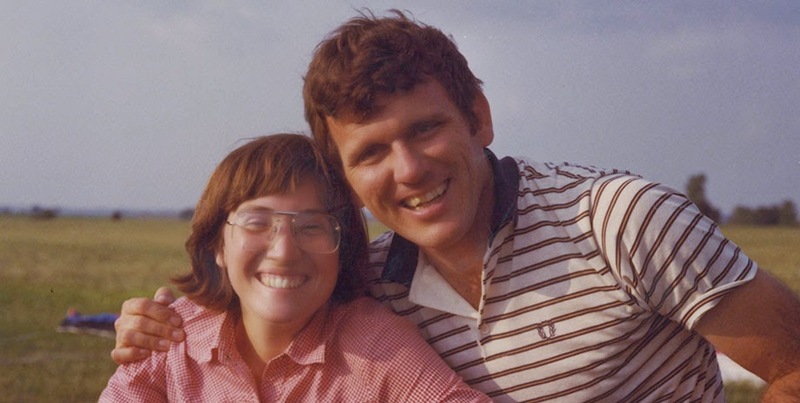 Sunshine Superman, directed by Marah Strauch, does not seek to illuminate corruption or tragedy, but rather to explore the self-documented life of one extraordinary person and the movement that he helped to father. 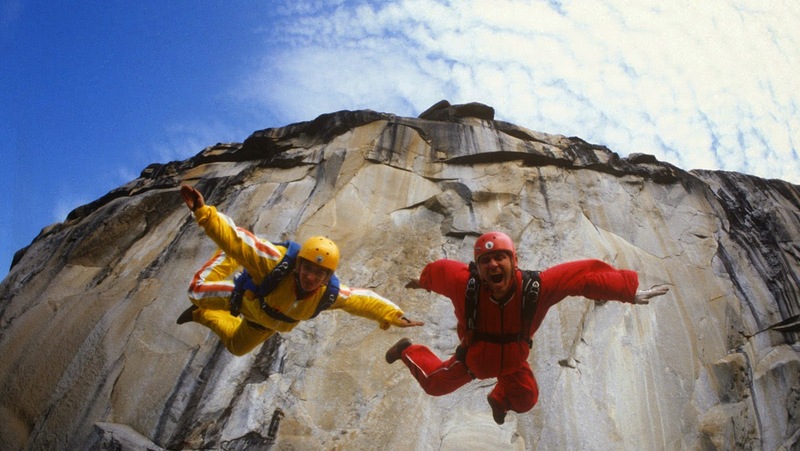 Sunshine Superman is centered around Carl Boenish, considered by most to be one of the primary founders of base jumping, the thrill-seeking activity of parachuting off buildings, antenna towers, bridges, and cliffs. We learn a bit about his past and how he fell in love with skydiving, and the film really takes off when Carl and his friends decide to parachute off El Capitan, the largest cliff in Yosemite National Park. In doing so, he begins to form the idea of base jumping and meets his wife Jean, who latches onto the intense sport as well. Luckily for Strauch (and for the viewer), Boenish was obsessed with filming all his activities. This allows the film to feel extremely authentic, as we get to see film of Carl and Jean at home, hear him record his intense feelings for base jumping, and see the planning that went into their adventures. The footage of the jumps themselves is absolutely gorgeous. 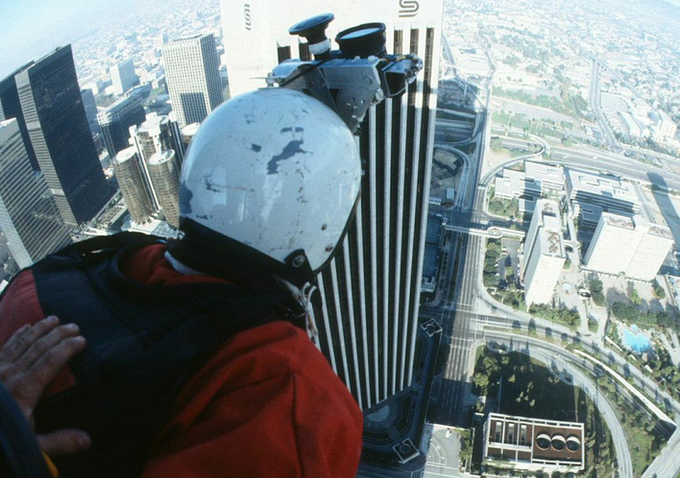 Boenish had all jumpers wear 16mm cameras on their helmets–maybe the original GoPro–and came up with ingenious ways to film people as they jumped, and his background as a cinematographer and editor are clear. The midair acrobatics are wonderfully surreal and elegant but also capture the excitement of the often less than 10 second jumps. It is impossible not to compare this film to Man on Wire, one of my favorite documentaries that follows Phillipe Petit's tightrope walk between the World Trade Center Towers–it's a beautiful film, and don't get me started on the borderline offensively ludicrous upcoming Zemeckis adaptation. While Sunshine Superman does reach a few emotionally satisfying peaks, particularly as we see the spirited enthusiasm that Boenish has after a successful jump and the accident that frames the third act, but the film never makes his accomplishments into an artistic triumph like Man on Wire does. That said, the amount and kinds of footage that Strauch was able to use here more than makes up for it, and this perhaps makes human flight even more beautiful than Petit's tightrope walk. Strauch does an excellent job of seamlessly integrating subtle reenactments into the flow of the film, where we only see people from the back or side, or perhaps just their feet as they climb the cliff they plan to jump off. It allows for some personal moments with the characters that the original footage doesn't contain, and she and her two co-editors are able to make it feel perfectly natural. The editing of the very entertaining interviews with those who both admired Boenish and who thought he was out of his mind is also quite good, and these people become characters with just as much personality as the film's central subject. Sunshine Superman is a lovely film that could appeal to almost anyone–so long as you don't have a fear of heights. The unique situation that allowed Strauch to use primarily footage shot by her subject himself really sets the movie apart from other similar documentaries, and Carl Boenish himself is a fantastic subject, someone I found endearing and fun to be around for the 100 minutes of the film. It's a visually stunning film, and the story behind it, one that you're unlikely to have heard before, is fascinating and well worth seeing if you get the chance! Sunshine Superman opens in Landmark Theaters, including Atlanta's Midtown Art Cinema, this Friday, May 29th.